Hurrah! 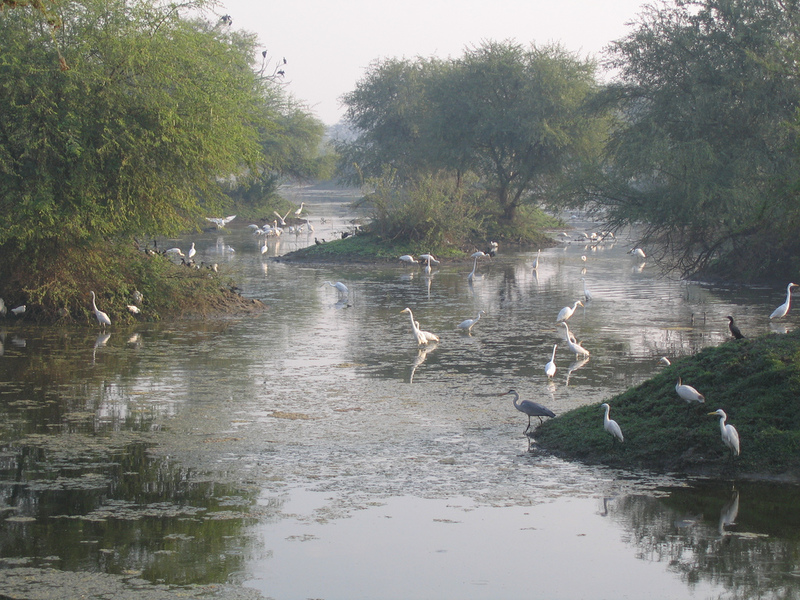 Keoladeo Bird Sanctuary, in Bharatpur, Rajasthan state, India, will retain its status as a UNESCO World Heritage Site. This was decided at a recent meeting in Canada, following a UNESCO delegation’s visit to the park in March. We visited Keoladeo for two days during our trip to Rajasthan in 2006. Cycling and walking through the park was a wonderful experience for us as budding birders. I’m sure if we went back, we’d spend more than 2 days there! There was plenty of water in the park when we visited, but recent seasons have seen dry conditions unsuitable for the amazing heronries a watered park can support.